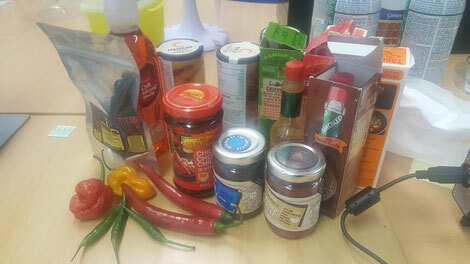 The ZP Chilli Technology Group have been validating the ChilliPot-Scoville Meter against a range of real world products. The ChilliPot-Scoville Meter is the world's only handheld meter for measuring the hotness of chillies and chilli products. Zimmer and Peacock attended the excellent Biodot workshop hosted by UWE this week. There are several ways of working with ZP and one of those is a collaboration where we fabricate sensors/electrodes and you (our collaborator) functional test the sensors/wafers. The reason collaborations work with Zimmer and Peacock is because we have a seamless way of linking the test data you gather with our manufacturing data, which means we are able to link sensor function with sensor manufacturing. This allows us to understand how manufacturing is affecting performance and allows us to improve issues like sensor variation and sensor sensitivity. Zimmer and Peacock are always innovating because biosensors and medical diagnostics demand it. 1) A built in heater on the rear side of the sensor. 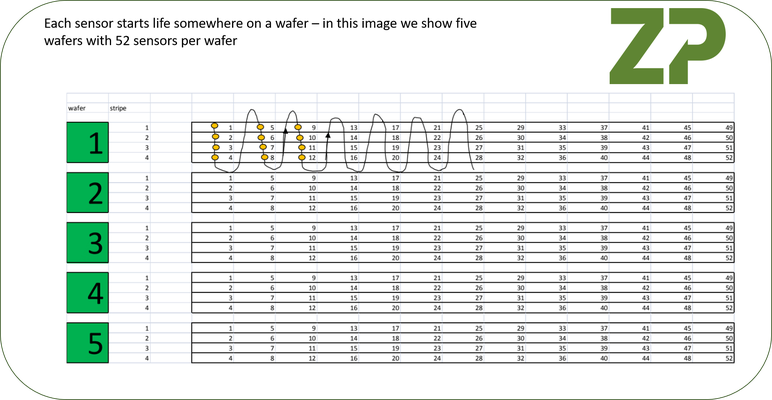 2) Individual numbering per sensor. In the photo we are showing the backside of the sensor where we have built an ohmic heater directly onto the sensor; also note the numbering. The heater is to ensure the sensors biochemical reaction is at the correct temperature, whilst the numbering is used by Zimmer and Peacock to track a biosensor all the way through manufacturing; so we can fully characterize our manufacturing and understand how it impacts final functional performance..